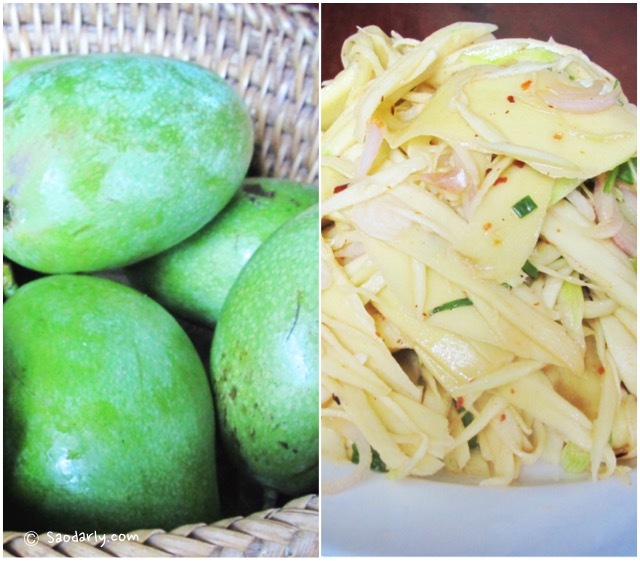 Green Mango Salad (Yum Maak Muang; ຍໍາຫມາກມ່ວງ) for afternoon snack in Vientiane, Laos. I have never eaten Yum Maak Muang before and would like to give it a try the next time I go to Laos. 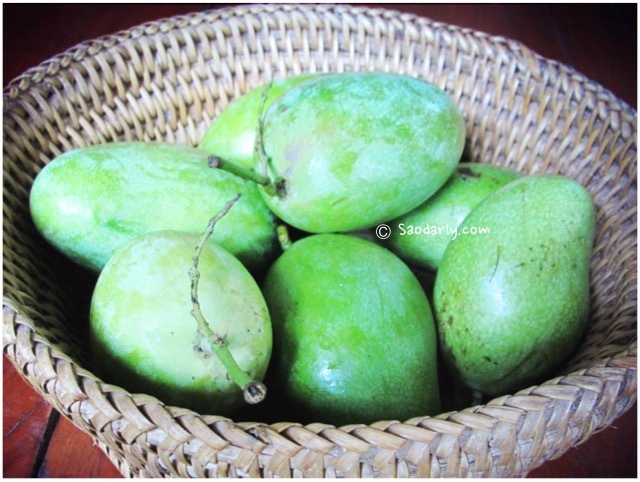 This version of Green Mango Salad has a couple extra ingredients than the usual Spicy Green Mango Salad (Tam Maak Muang). 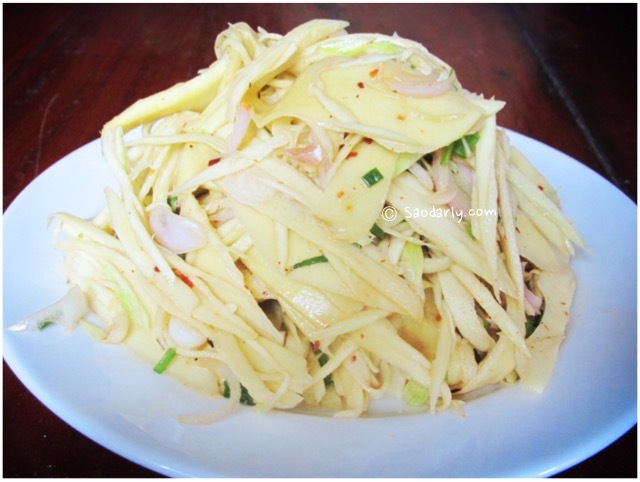 My cousin made the Green Mango Salad by shredding the green mango, then mixed it with fish sauce, lime juice, salt, sugar, chili pepper, Monosodium glutamate (MSG), sliced shallots and sliced green onion.